Successfully saved Quinoa & Vegetable Stuffed Portobello Mushrooms to your Calendar. You can also save the ingredients to your Grocery List. 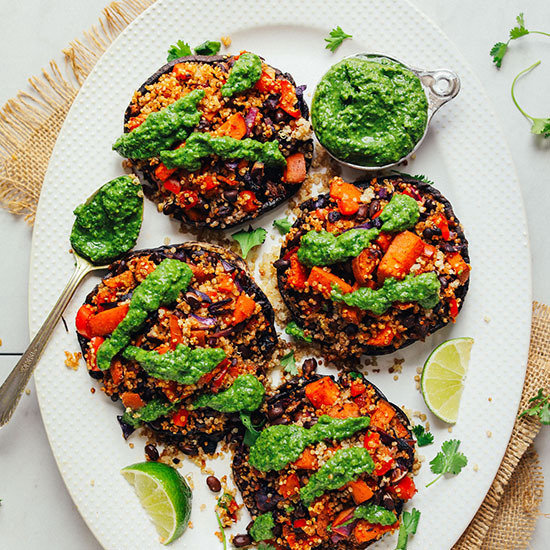 Quinoa, black bean, and vegetable stuffed portobello mushrooms with chimichurri sauce! A hearty, wholesome 30-minute plant-based meal.